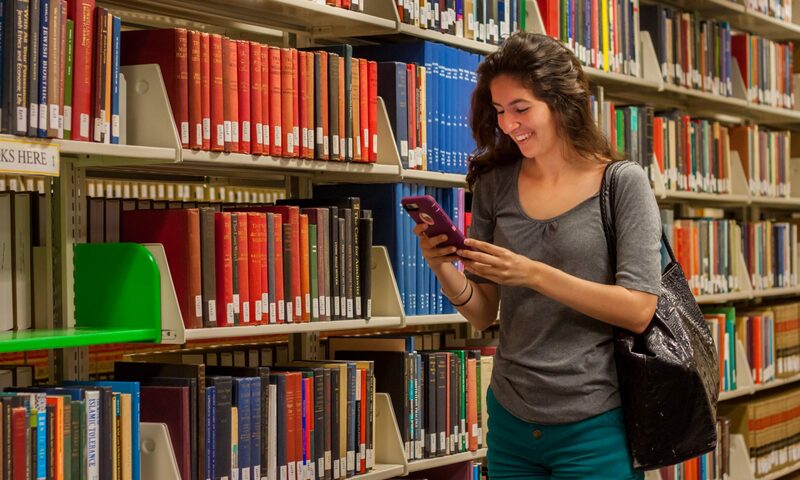 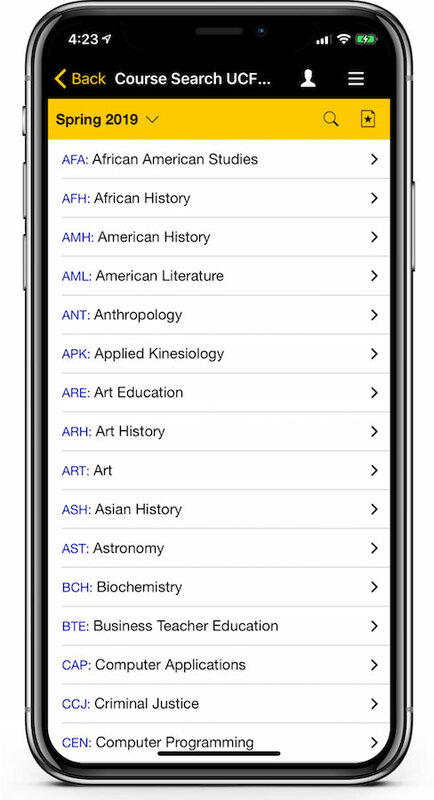 A new feature has been added to the UCF Online experience in the UCF Mobile app, Course Search. 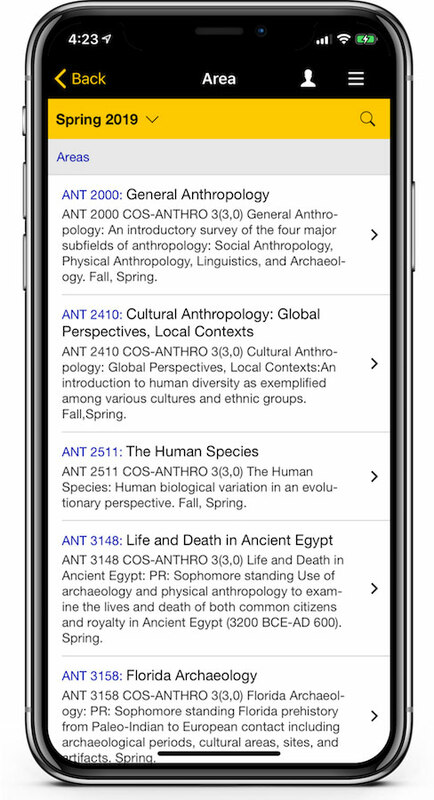 The Course Search includes all classes (open and closed) to UCF Online students for the current and next two semesters. 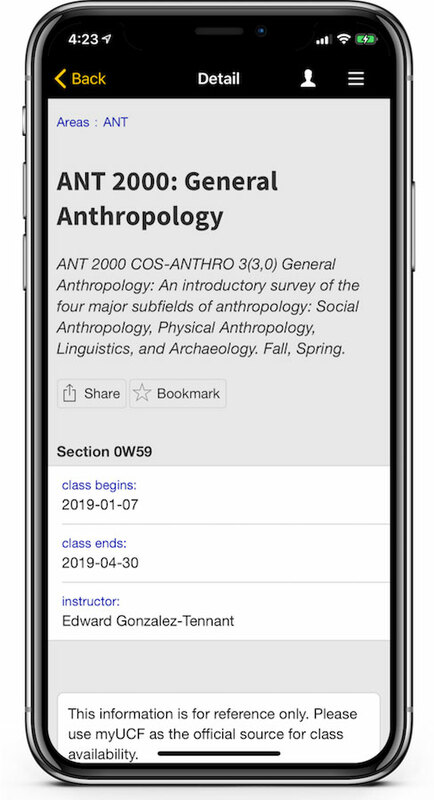 Please remember to check myUCF for official availability, and use this feature for a quick reference of courses.